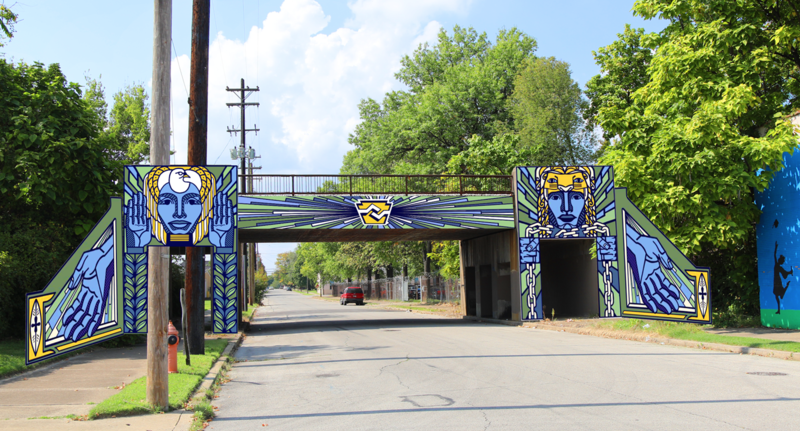 Work on four large-scale murals will soon help transform selected railroad overpasses within Russell into signature neighborhood gateways. 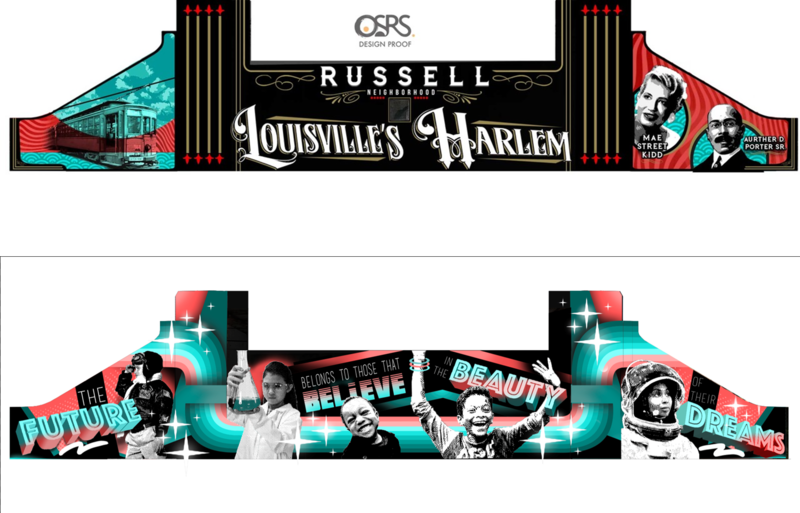 In September 2017, a team comprised of Russell residents, Louisville Metro Government and Louisville Metro Housing Authority staff reviewed artist proposals and selected teams to create these original public art murals. The artists highlighted below have already met with community representatives to collect input on their design concepts, which are expected to be finalized in November. 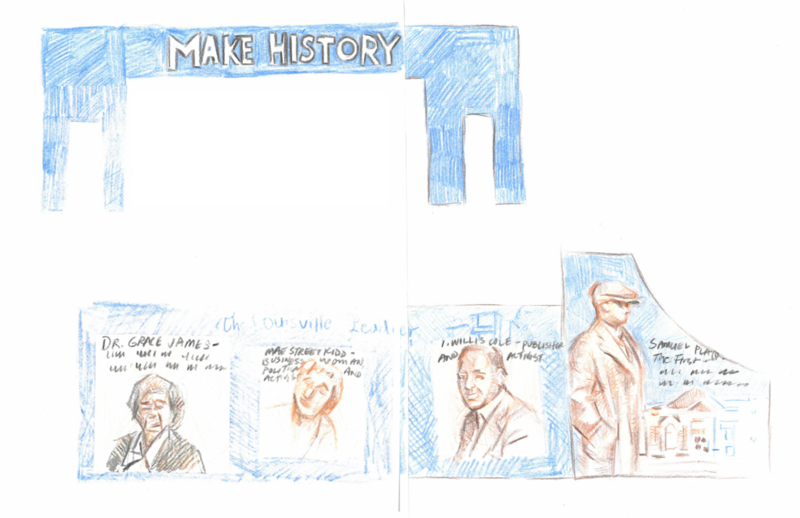 Victor Sweatt will design the mural on 14th and Magazine streets. Sweatt plans to include images and words that showcase Russell’s character and culture. Sweatt also wants to incorporate images of Harvey Clarence Russell, Sr., the neighborhood’s namesake, who inspired others to learn. Often Seen Rarely Spoken (OSRS) is a group of urban artists with a strong background in digital design. OSRS plans to use sharp vivid designs inspired by geometry and traditional patterns in their mural, which is located on 14th and Chestnut streets. Via Studios will design the mural on 14th and Madison streets. 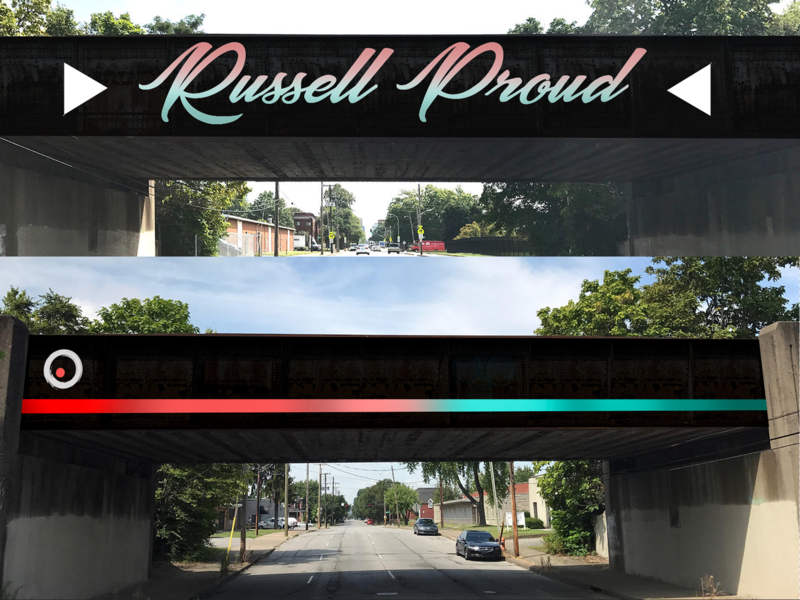 The group has more than 30 years of experience and plans to use images in their design that emphasize Russell’s rich history and civic pride. Kacy Jackson (The Art of Kacy) and Via Studios will join forces to create the mural on Muhammad Ali Boulevard. Jackson attended the Illinois Institute for Art in Chicago and has a background in freelance mural design. 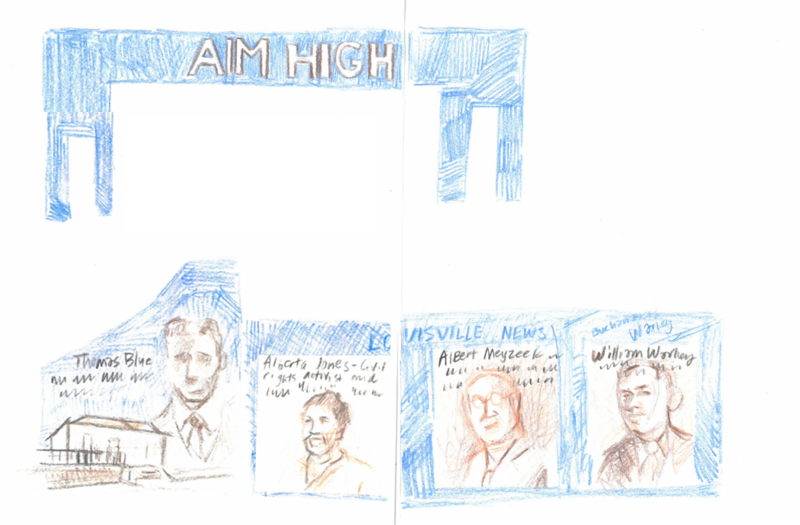 Jackson plans to depict several local landmarks and famous Louisvillians in his design. Artists and teams were selected to create original designs after submitting proposals in response to a “Call for Artists” issued this summer. Work on the murals will begin once the overpasses have been cleaned and prepped. 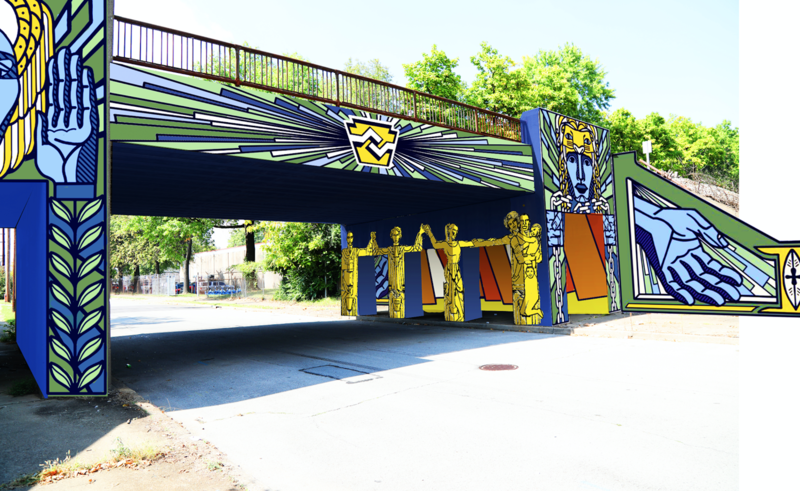 The overpass murals will be completed by December 30, 2018. 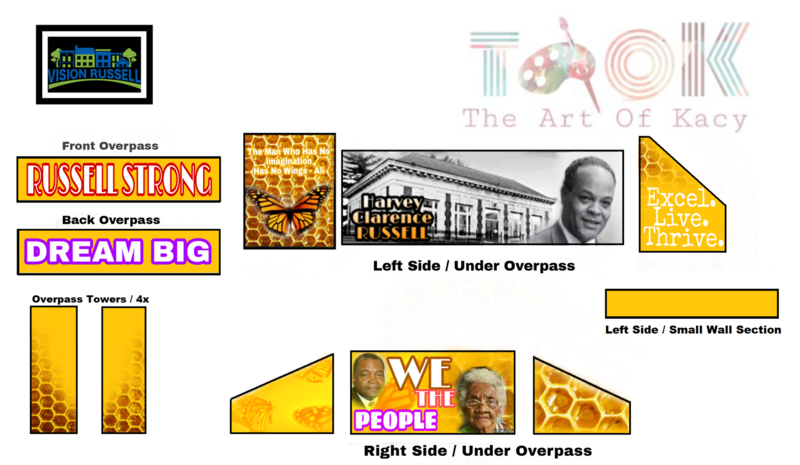 See mural designs and renderings for the overpasses below (subject to change).